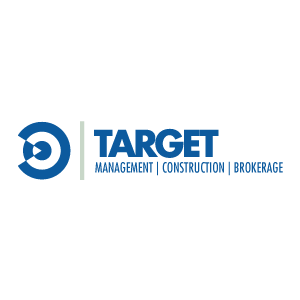 Currently, Target Management & Leasing employs a staff of 15 that are dedicated to the care and maintenance of all of the facilities in our portfolio. Our employee mix guarantees full coverage for the properties under management. Accounting, Space Planning, Construction, Maintenance and Leasing are fully staffed to provide outstanding service and responsiveness to the needs of our clients. Dan Wheeler’s professional career of 30+ years includes construction of more than $200,000,000.00 in commercial, industrial and medical facilities in Ohio, Indiana and Florida. His focus and priority has always been adding value and providing solutions for investors and partners, as well as providing excellent service to the tenants in the buildings that are under management. Dan’s experience as both an owner and a manager provides the insight and the ability needed to achieve the goals and objectives of both ownership and tenants by delivering a quality asset time after time. Dan is both a Civil and Structural engineer. He is proficient with AutoCAD and has the ability to provide an array of design solutions for anything from space planning and working drawings to site and building planning. His expertise in the field of design along with his experience in construction and real estate has paid dividends to ownership and tenants. Dan Wheeler is a developer, engineer, property manager, broker, and owner of real estate. Under Dan’s direction, these credentials have built Target Management’s ability to understand the larger picture and deliver a quality commercial real estate asset for owners and a professional leasing experience for small and large companies alike.